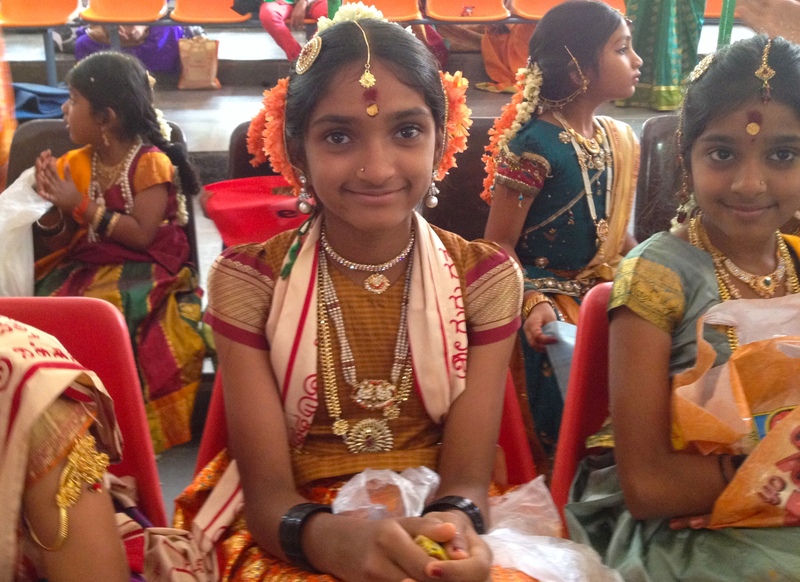 I saw her at the Navratri Festival in Bangalore and was fascinated by the expression on her face. It seemed to me as if she doesn’t have any age or even as if her mind comes from ancient times. Sometimes, people don’t look like their age. I met children who had a look like an old man or an old woman, and I listened to an old woman who spoke to me with a brilliant glance of a 14-year-old girl. Why is this? I don’t believe in reincarnation but it might be an interesting explanation.